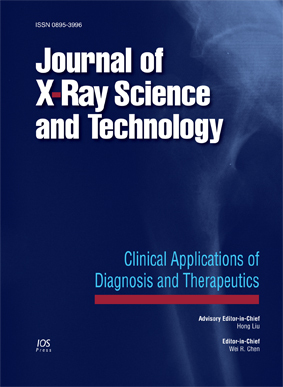 View Press Release about Special Issue on Multimedia Presentation Assisted Clinical Diagnosis, Prognosis, and Treatment. Authors are requested to submit their manuscript electronically to www.mstracker.com. Please contact the Editorial Office if you experience difficulties with the online system. When an article is accepted for publication, authors are required to pay US$400/€350. Page charges do not apply to feature articles. In addition to the publication fee, authors have the option to make their article freely available on the Publisher's journal platform. For a charge of 1250 USD / 900 € your article (including pre-publication) will be freely accessible immediately upon publication. separate files of all figures (if any); see "Preparation of manuscripts" for the required file formats. Please include in the cover letter a statement that the manuscript has not been published before and is not being considered for publication in another journal. Authors are requested to suggest 5-6 potential reviewers for their manuscript. Please provide names, titles, affiliations, addresses and emails of the suggested reviewers. For citations in the text, numbers between square brackets should be used. All publications cited in the text should be presented in a list of references following the text of the manuscript. For each contribution the corresponding author will receive a complimentary Author’s Copy (watermarked) pdf of their published article. This pdf is for personal use only. Free copies will not be provided for conference proceedings and abstract issues. An author order form for reprints, additional journal copies or a pdf file will be sent to you along with the pdf proof.